Campsite: Offering a delightful rural setting, this is a superb place to relax, or to discover this beautiful region. 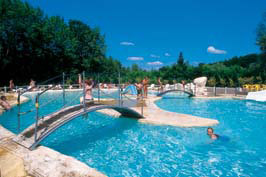 Popular with sports enthusiasts and families with children of all ages. Perfectly located in beautiful countryside, the jewels in Le Val de Bonnal's crown are undoubtedly its natural lakes, one of which has its own beach.